Chic floral bridal shower invitation features a top border of ivory roses and white peonies with lush botanical foliage and greenery. Personalize with your bridal shower details in modern hand lettered script and traditional sans serif lettering. 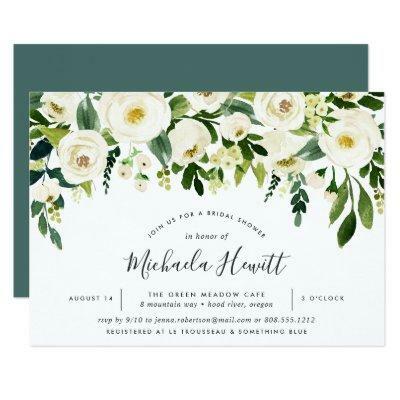 Invitations reverse to rich jewel toned jasper green.